‪In our lifetime. 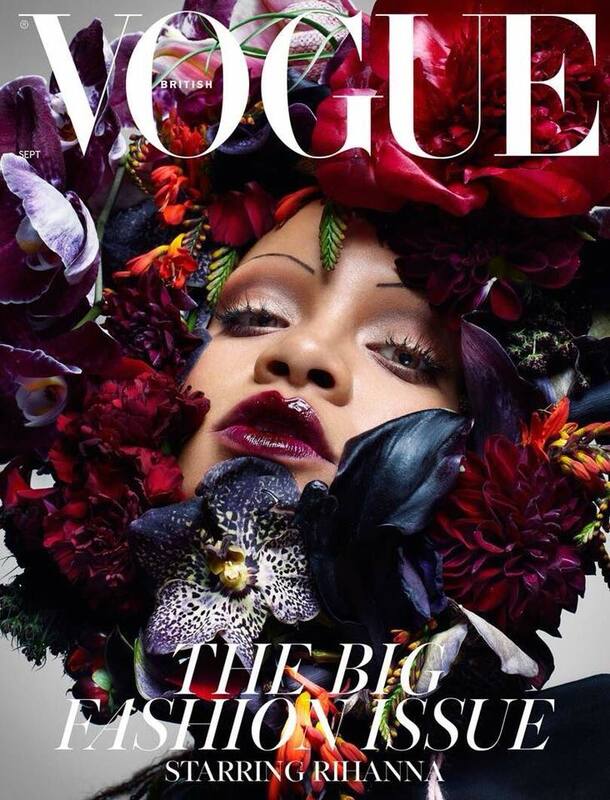 Rihanna is the first black woman on the cover of British Vogue’s September issue in its 102 year history. Edward Enninful is the first black editor of British Vogue and this is his first September issue. 23 year old Tyler Mitchell is the first black photographer to shoot a Vogue cover. He’s also one of the youngest photographers to do so. Rihanna was photographed by Nick Knight, and styled by the incredible Edward Enninful. 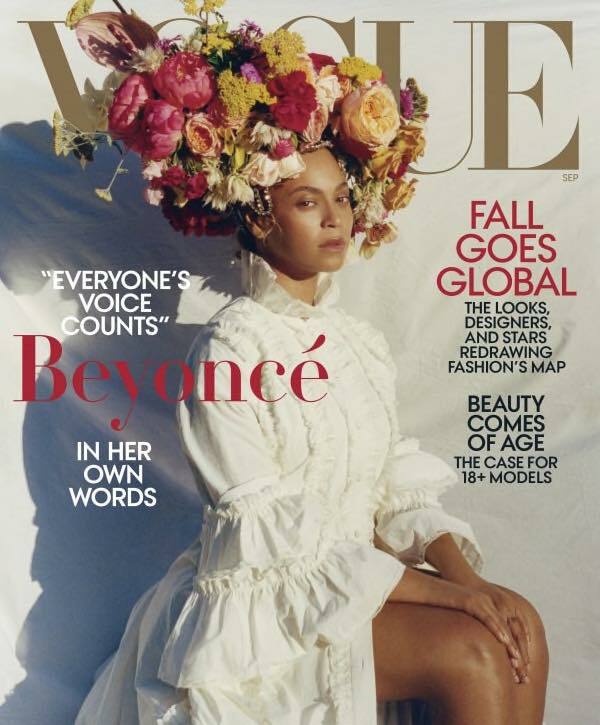 Beyoncé is wearing a floral headpiece crafted by Rebel Rebel, and on another cover is wearing a tiered dress by Alexander McQueen. Sublime. I am feeling all kinds of good about 2018’s September Issues. If you know anything about fashion, you know that the September issue is the biggest and most important issue of the year for magazines. With Lupita N’yongo on the cover of Porter Magazine, Tracee Ellis Ross on the cover of Elle Canada, Zendaya on the cover of Marie Claire, and Yara Shahidi on the cover of The Hollywood Reporter this is a historic moment in fashion! My favorite? Model Slick Woods, pregnant, on the cover of Elle UK. This entry was posted in Celebrity, Fashion, Music and tagged Beyonce, blackgirlmagic, blackhistory, Elle, Elle UK, fashion, hereforthis‬, Rihanna, septemberissues, Slick Woods, Vogue on August 12, 2018 by Marcellas Reynolds.